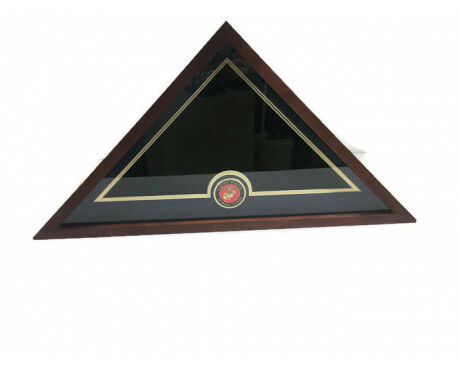 Solid Hardwood Memorial Case "Veteran"
At Gettysburg Flag Works, we are passionate about providing products that help our customers to celebrate those who have served in our armed forces. 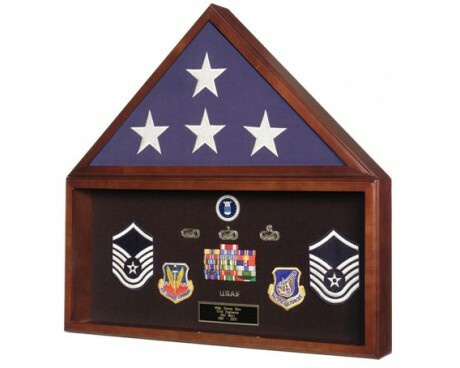 In addition to selling military flags and Support Our Troops flags we also provide a number of items to honor military members whose lives have been lost, including military memorial flag cases. 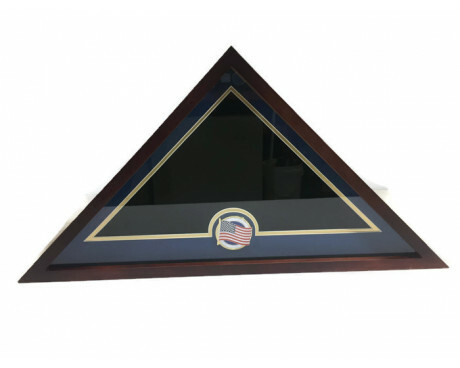 The memorial flag display cases at Gettysburg Flag Works are available in two sizes. 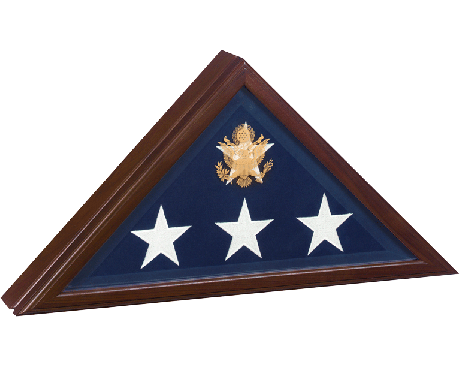 The larger memorial case holds a typical burial flag, which is 5 feet tall and 9.5 feet long. 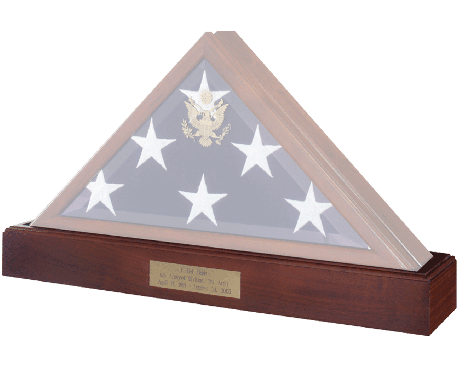 The smaller memorial flag case isn't made for a burial flag at all. 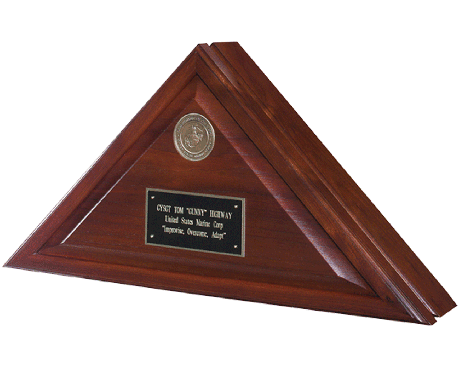 It's made to fit a 3 by 5 foot flag, which is commonly presented as an award. 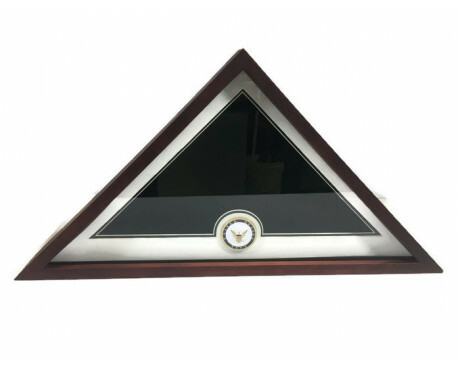 This type of case is frequently displayed with a certificate in a shadow box. 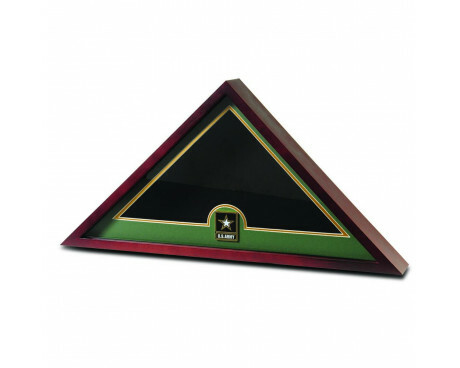 Memorial cases are available in several wood finishes to match your decor. Choose from walnut with an heirloom finish, maple with a cherry finish, natural oak, natural cherry or natural walnut finishes. 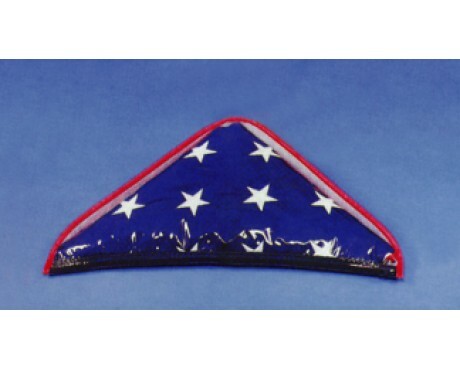 You can also order a simple plastic cover for your memorial flag. 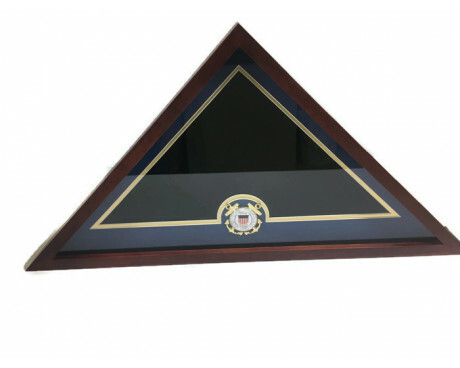 Most of our memorial cases are made in America, however there is a foreign made memorial case for a more economical option. 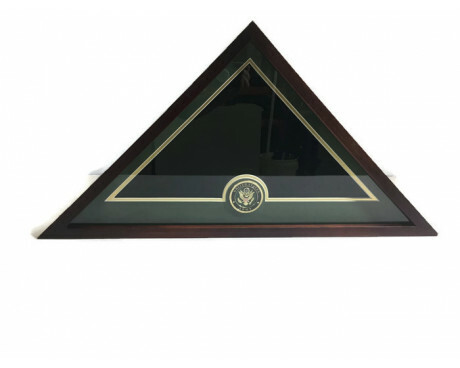 The glass front on your memorial flag case can be beveled or flat, and can even be embossed with the Great Seal of the United States in gold. 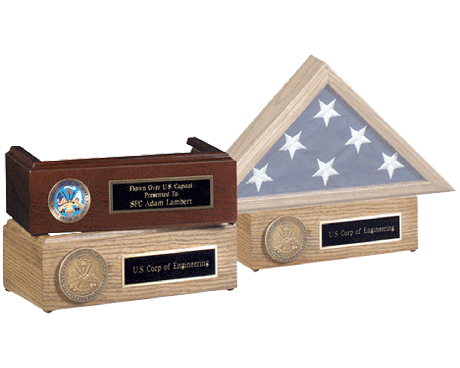 Memorial flag cases are designed to sit on your mantle or hang on the wall. Mounting hardware is included. 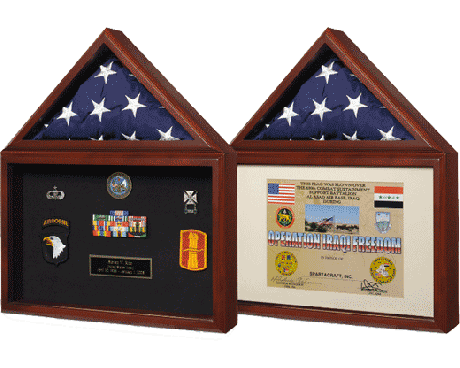 Accessories are available to complete the look of your memorial flag case. 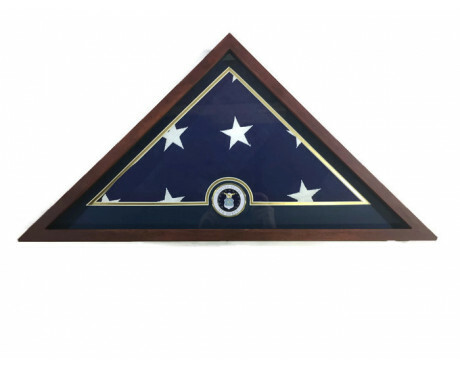 The burial flag is the last gift of your loved one, and is a symbol of the sacrifices made by that individual in his or her service to our country. 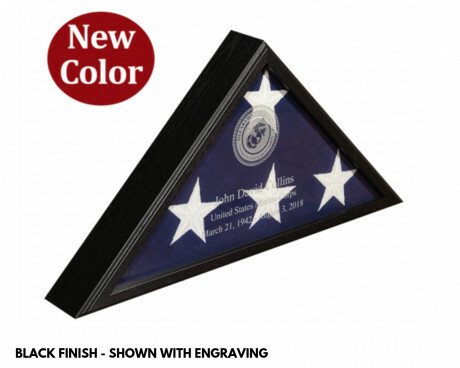 Add an engraved plaque and a military medallion to your burial flag display to honor your loved one's service. 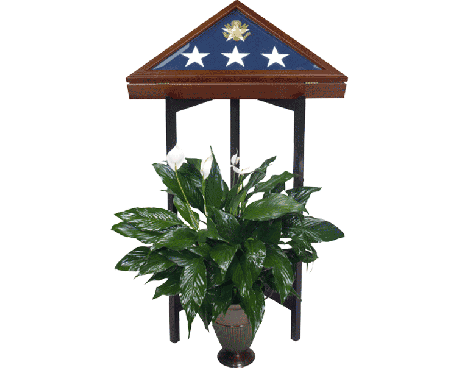 The ultimate patriotic burial flag display can also include an urn to hold the ashes of your beloved military veteran. 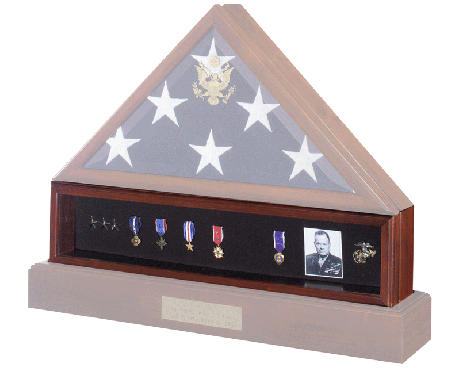 Add a medal case as well, to display the medals awarded to your loved one. 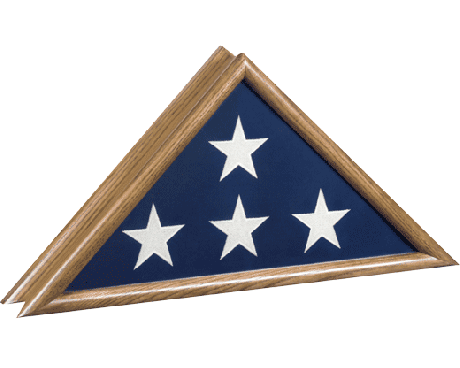 The memorial flag (also called a burial flag) is a traditional military flag size. Military flags come in Garrison (20x38 feet), Post (8'11 3/8" x 17'), and Storm/Interment, which is 5x9.5 feet. 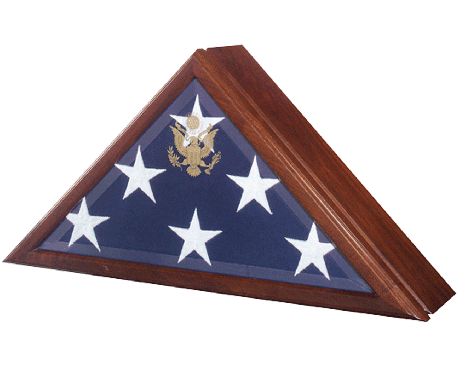 The storm or interment flag size is what fits in our typical memorial flag case. 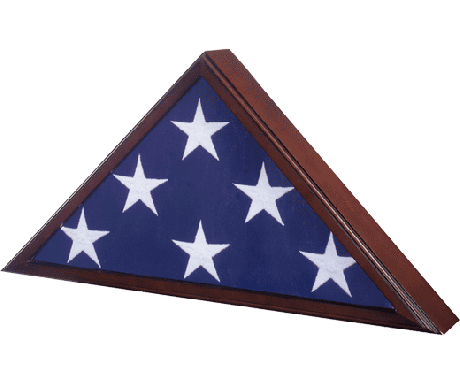 The interment flag is authorized for deceased military personnel and for deceased veterans. 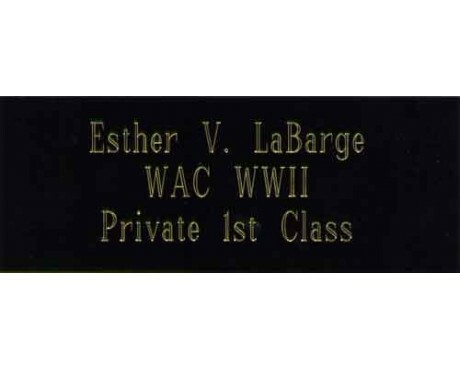 Upon application to the nearest postmaster, the Veterans Administration will provide flags for deceased veterans. When this size flag is made from a durable outdoor nylon or polyester, it's called a storm flag, and is displayed in place of the larger American flags, during inclement weather. 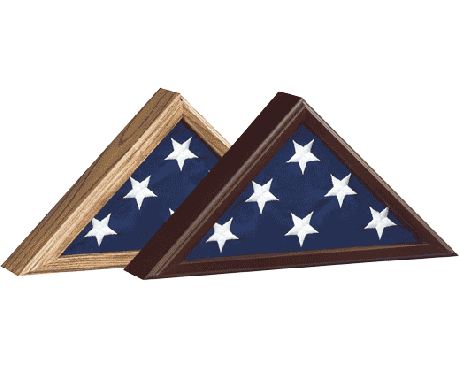 You can learn more about memorial flag options by browsing our selection of American flags. 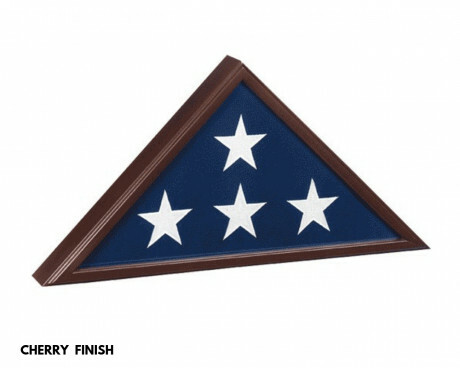 A burial flag in a memorial flag case is a beautiful way to honor those who served our country as they're laid to rest. Have questions or can't find what you had in mind? Fill out our quick and easy online contact form and we'll get back to you shortly, or give us a call at 1-888-697-3524 for immediate assistance!